Hussong’s Cantina has traditional, hand-shaken margaritas and authentic Mexican food. 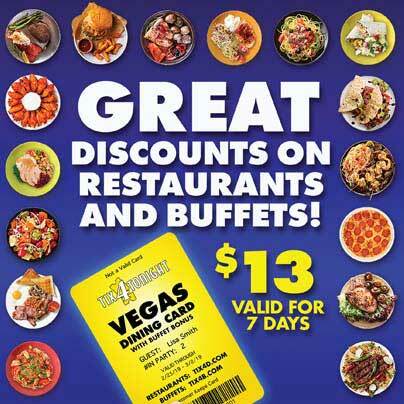 In honor of the Ensenada restaurant it was named after where the original margarita drink was famously originated, be sure to order a traditional, hand-shaken margarita. On the menu, you’ll find tacos, enchiladas, stacked quesadillas, flautas, fajitas, huaraches, chile relleno and more, as well as a breakfast menu that’s served all day. 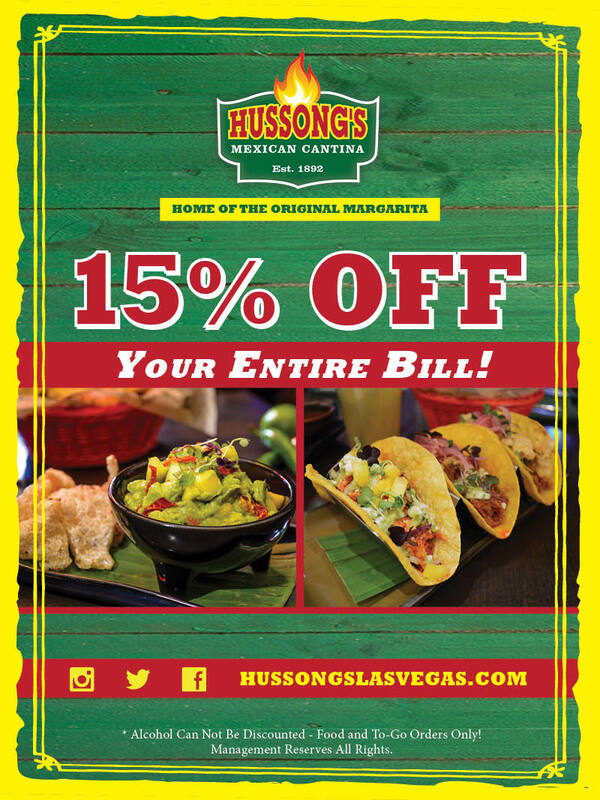 With your Tix4Tonight dining card, enjoy 15% off your entire bill, at Hussong’s Cantina located inside Mandalay Place.